August | 2015 | ... And Show Your Work! I’m back! In a relatively short amount of time, even! Today I bring you another planner – this one for conferences. I know that there are a lot of blogging conference planners out there, but the conferences I attend are usually work related – library and technology conferences – and I am often a scheduled presenter. So, none of the blogging conference planners really worked for me. You can preview the pages below and download the planner here. We still haven’t moved into our new house, and probably won’t until very close to my due date, the way things are going. This is making me antsy. I’m nesting, for goodness’ sake! 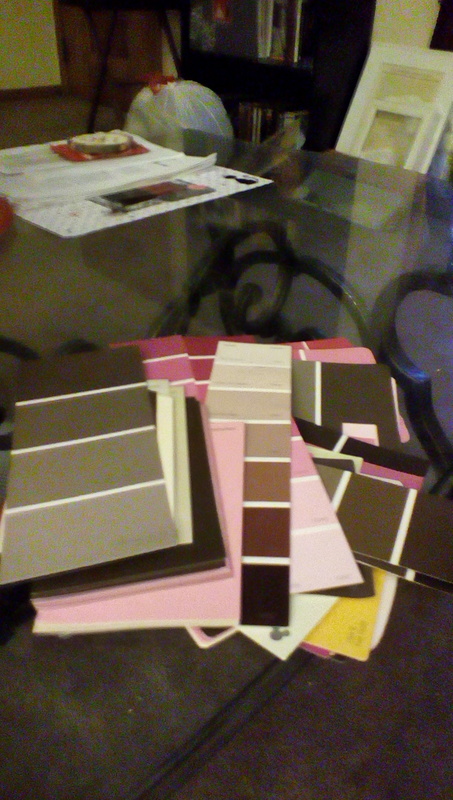 But, I figured that regardless of where we move, I could at least start figuring out what paint I needed, so I picked up some paint chips from Wal-mart. And Lowes. And Home Depot. And Menard’s. What I’m trying to say is, I picked up a lot of paint chips. Then I sat down and figured out which shades of which brands I liked and wrote everything down. I just need to compare coverage and cost and we’ll have our paints. I don’t need the chips anymore. Pinterest is full of great ways to reuse paint chips, but none of them were striking my fancy. Since they were the nursery colors (or at least hues of said colors), I wanted to do something for the nursery with them. 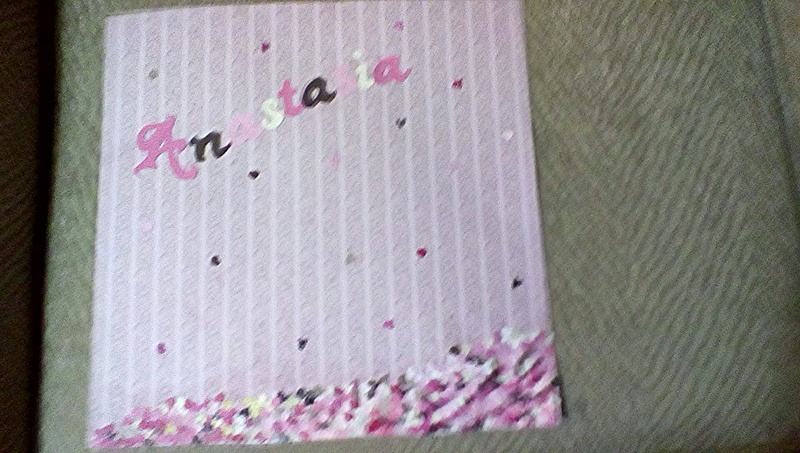 So, I decided to make some decorative artwork for the baby’s room. 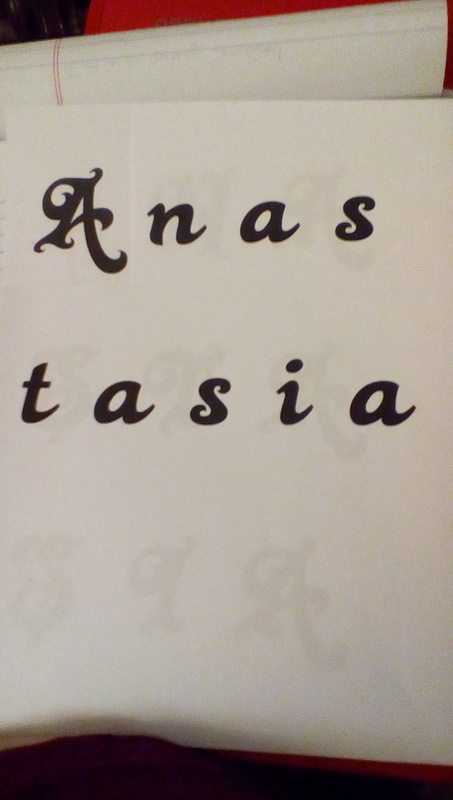 First I found a font for her name and printed it out. 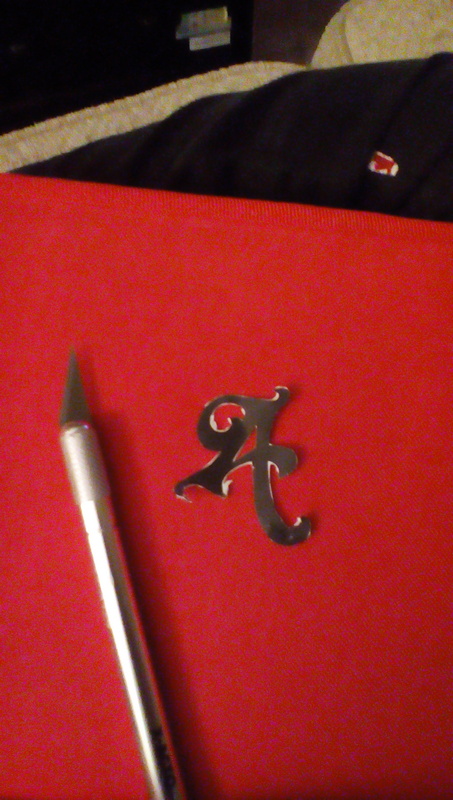 Then I painstakingly cut out the letters from the paper. 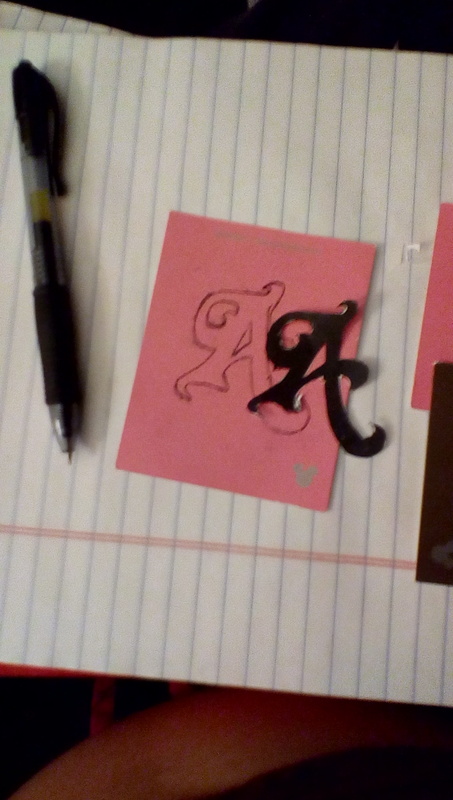 In hindsight, I should have used card stock, but I was at work and that printer already hates me. 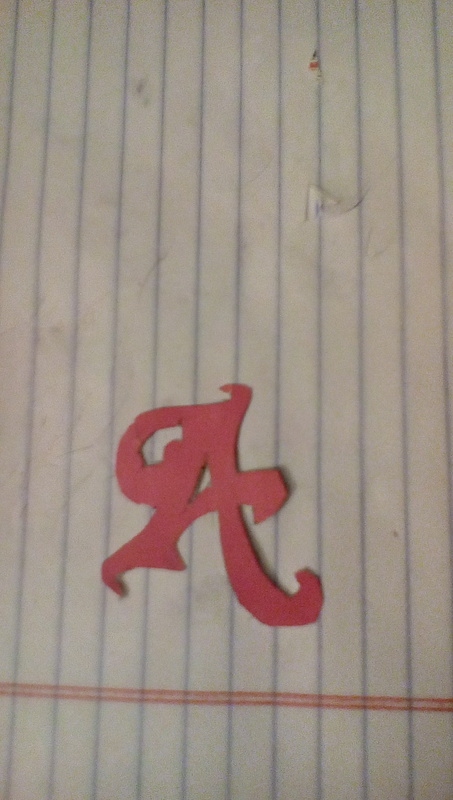 I used the cut outs to trace and cut out letters from some of the bigger paint chips. 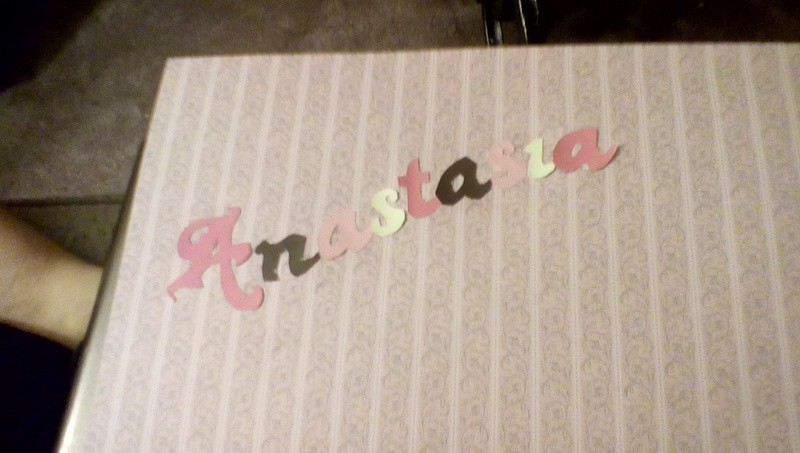 Then I glued her name to a piece of scrapbooking paper. 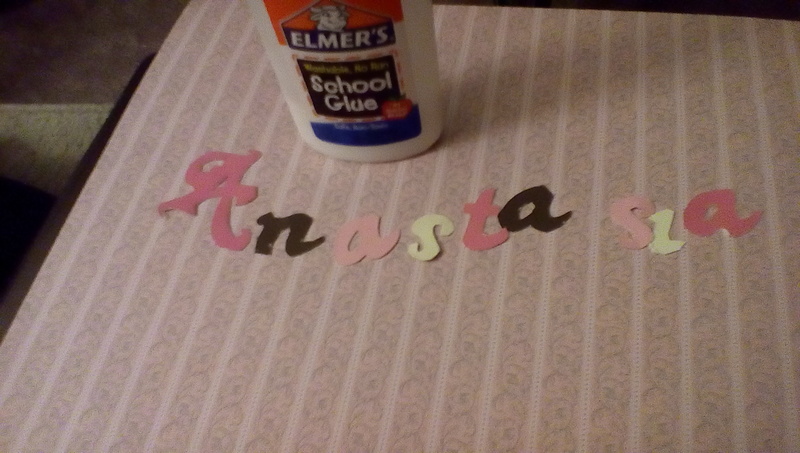 To fill up the rest of the page, I made confetti out of the other paint chips. 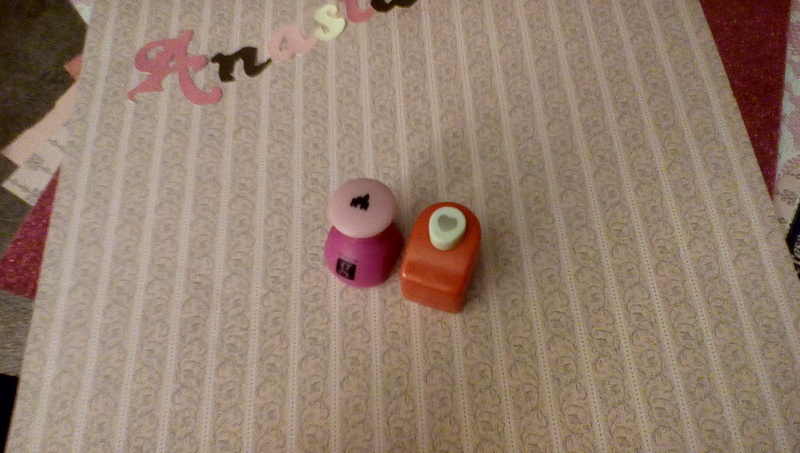 But in the end, I think it turned out fabulously! I’ll be framing it in a 12×12 frame as soon as one of the craft places in town has a sale. Happy Halloween … A little early! So, I haven’t posted to this blog (or any others, for that matter) in a long time. But today I come back, offering a free printable planner! A planner for what, you might ask. After all, there are approximately 453457787076906 mommy blogs out there, all offering printable planners for every conceivable thing. “Treats, Not Tricks,” a baking/cooking tracking page. Here are the previews, and the .pdf link is below! 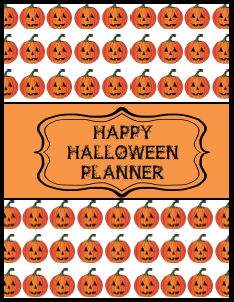 Download the Happy Halloween Planner!